(May 22) Lagos, Nigeria — An innovation launched by Lagos-based Orodata, which helps small business owners know their rights and regulations so that they can make better business decisions and make the government more accountable, transparent and efficient, is featured in The Atlas of Innovation for Economic Stability, published today by international NGO FHI 360 with support from The Rockefeller Foundation. Orodata is a civic technology startup that works to simplify and democratize public data. The Atlas highlights exciting new innovations that are helping to create economic stability in the changing global marketplace. The Atlas is the result of a global research and crowdsourcing effort, and features more than sixty innovations from around the world that help individuals, households, communities, and countries survive and prosper even in the face of economic volatility. The report finds that private entrepreneurs and businesses like these are playing a major role in enhancing economic stability – a role typically associated with governments – by providing powerful information products and financial services, often but not always via mobile phones. Citizen networks and non-governmental organizations (NGOs) are also joining entrepreneurs, international donors, and government-business partnerships as important sources of innovation in these areas. 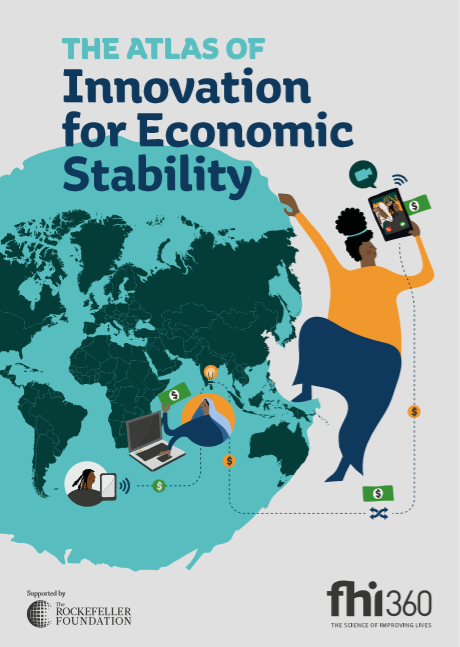 Other examples of innovations that are enhancing stability around the world include new technologies for digital payments; banking and insurance products; tools that provide better data to farmers via smartphones; workforce monitoring and wellness; pensions and benefits for workers with unstable incomes; technologies to promote public safety; and technologies that help marginalized women and ethnic minorities claim their legal rights to land and property. Many of these technologies build on the success of digital payment systems pioneered in Kenya, particularly Safaricom’s M-Pesa system. The innovations featured in the Atlas were chosen for their ability to help reduce the volatility and disruption in people’s lives caused by rapid technological change, allowing them to anticipate and prepare for future shocks and stresses. They serve as models of policy, program, and product solutions that improve livelihoods and promote inclusive growth that place economic stability at the center. The Atlas also presents profiles of innovators and suggests some conclusions and recommendations related to how global development partners can support and strengthen economic stability and the process of innovation, through new ideas and collaborations and stronger connections with emerging dßata sources, financial systems, and other technologies. FHI 360 is a nonprofit human development organization dedicated to improving lives in lasting ways by advancing integrated, locally driven solutions. Our staff includes experts in health, education, nutrition, environment, economic development, civil society, gender equality, youth, research, technology, communication and social marketing — creating a unique mix of capabilities to address today’s interrelated development challenges. FHI 360 serves more than 60 countries and all U.S. states and territories. For more information, please visit www.fhi360.org or FHI 360 Facebook.